3M ON THE NO. 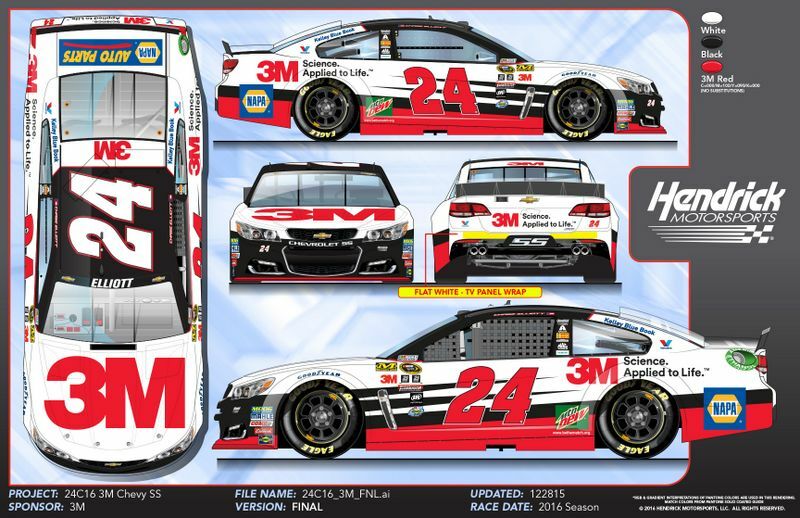 24 CHEVROLET SS: 3M will be the primary partner onboard Rookie of the Year contender Chase Elliott’s No. 24 Chevrolet SS with NAPA AUTO PARTS as a major associate sponsor this weekend at Martinsville Speedway for the first time this season. 3M, which began its partnership with Hendrick Motorsports in 2015, will be the primary partner on the car for four additional races this year. CUP SERIES DEBUT: In January 2015 it was announced that Elliott would join the Sprint Cup Series in 2016 driving the No. 24 Chevrolet. 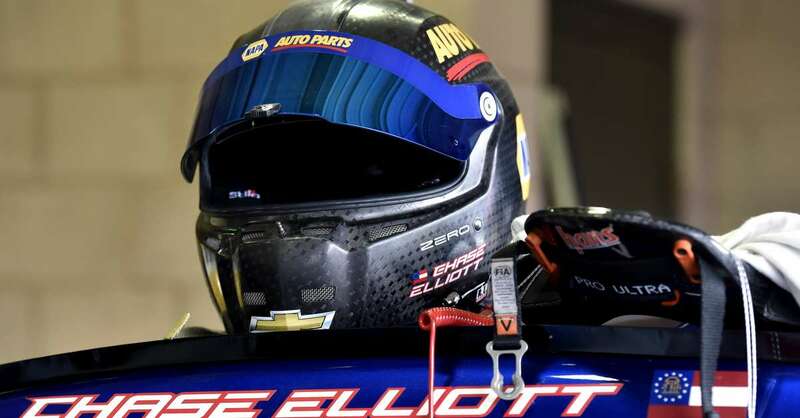 In preparation, Elliott drove in five points-paying Sprint Cup races for Hendrick Motorsports during the 2015 season with his Sprint Cup debut coming at Martinsville Speedway. The rookie piloted the No. 25 NAPA AUTO PARTS Chevrolet SS last year and this year he will come full circle as he drives the No. 24 on the half-mile paperclip. Elliott also has two NASCAR Camping World Truck Series starts at Martinsville. His Martinsville track debut came April 6, 2013, in the Hendrick Motorsports-owned No. 94 Chevrolet, finishing sixth. TOP-10 TRIO: Elliott is coming off of his third top-10 finish of the season heading into this weekend’s race at Martinsville Speedway. The driver earned Sunoco’s Rookie of the Race honors at Auto Club Speedway after capturing a career-best sixth-place finish. His first top-10 finish of 2016 was at his home track, Atlanta Motor Speedway, and he also earned a top-10 finish at Phoenix International Raceway. 24 CLOCKING IN: The No. 24 Chevrolet SS team has earned nine Martinsville grandfather clocks since 1993 with the most recent victory coming last year in Jeff Gordon’s last race at the paperclip, marking his final victory in the No. 24 Chevrolet before passing the wheel to Elliott. GOING HOME: No. 24 NAPA AUTO PARTS hauler driver Dean Mozingo will head to his NASCAR home track this weekend. Mozingo grew up in High Point, North Carolina, approximately one hour from Martinsville Speedway. When the Cup Series comes to town, Mozingo’s brother is sure to sit in the stands and watch.